I am slowly getting around to sorting my sabbatical photos. 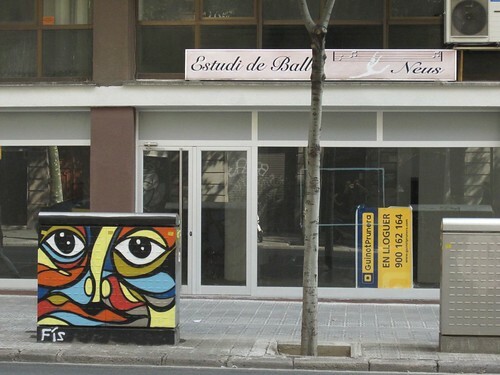 First up, the graffiti of Barcelona. Many stores have a metal roll down shutter that they use when they’re closed. 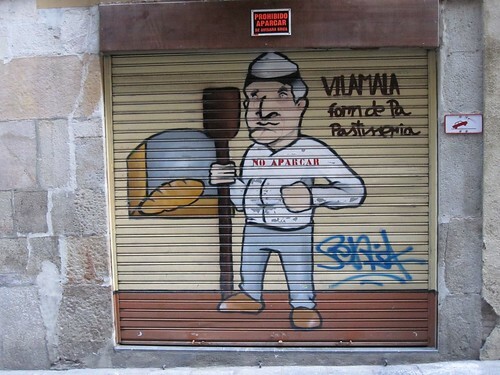 As you can see, it’s quite popular to decorate the shutter with graffiti. Beth and I blogged much of our five week sabbatical trip. We pulled down the wedding information at bethandadam.org and replaced it with travel photography and a few videos.